I can hear your groans. "No!" You say. "It is just September!!!" To that I reply, "Don't blame me! These other people are already thinking about costumes. I am your kind messenger." Yes indeed. Here are some instructions on Alice in Wonderland Halloween costumes. 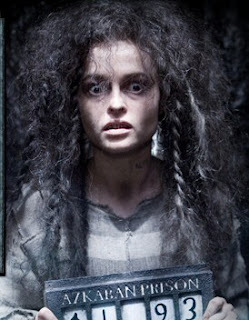 In news related to Tim Burton's Alice 2010, Helena Bonham Carter has been nominated for Best Villain in the 2009 Scream Awards. She was nominated (along with many of her co-stars) for her part in the last Harry Potter movie, in which she plays Bellatrix Lestrange. You can go vote at the Scream Awards link above. Voting closes October 17. Here is everything Harry Potter and the Half-Blood Prince on Amazon. Finally, Fangoria online has a review for a trashy Alice in Wonderland comic book. It's a part of a series of wonderland comics by Raven Gregory.